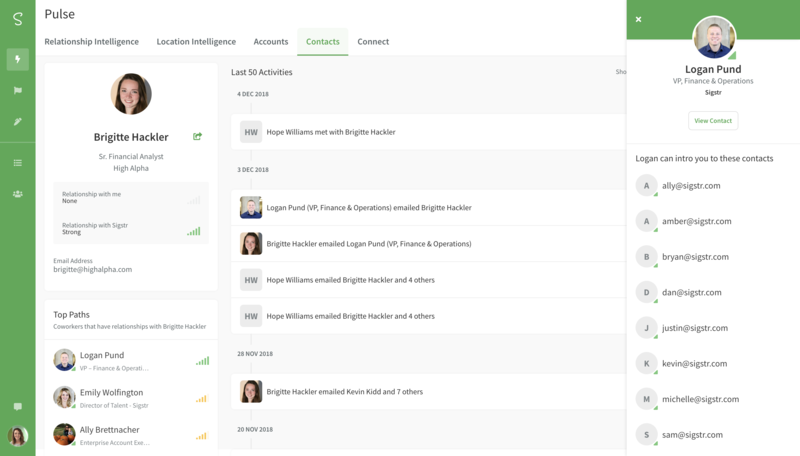 Sigstr allows you to keep relationships with target contacts front and center. 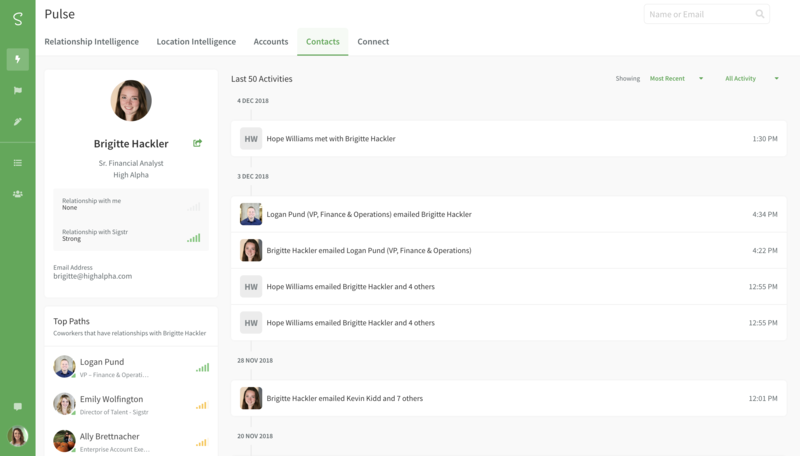 View and understand key connections to prospects and customers, understand how your efforts are influencing account penetration and development, and take action to drive key contacts through the sales funnel. 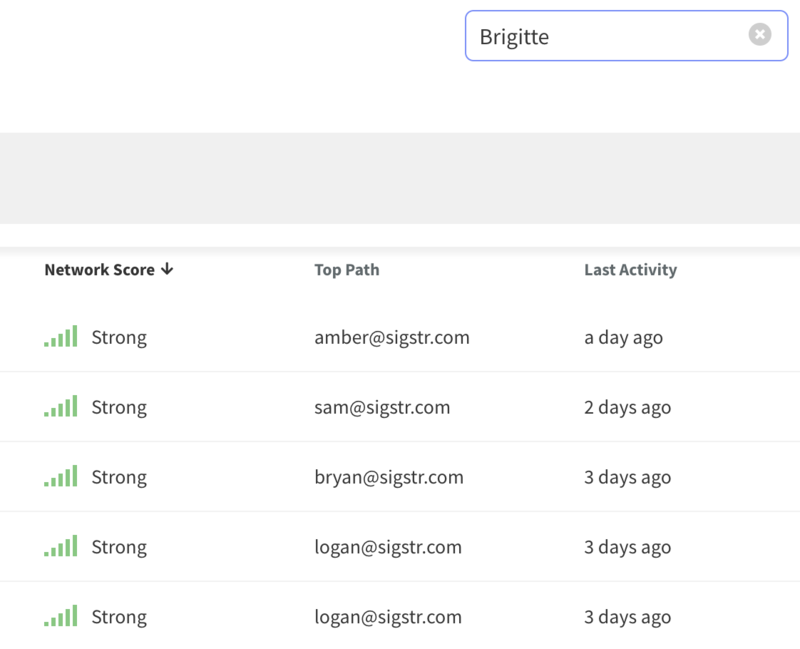 Navigate to the Contact section of Sigstr Relationships. Use the search bar to locate a specific contact. Click into the details page of any contact to see a live feed of relationship activity. 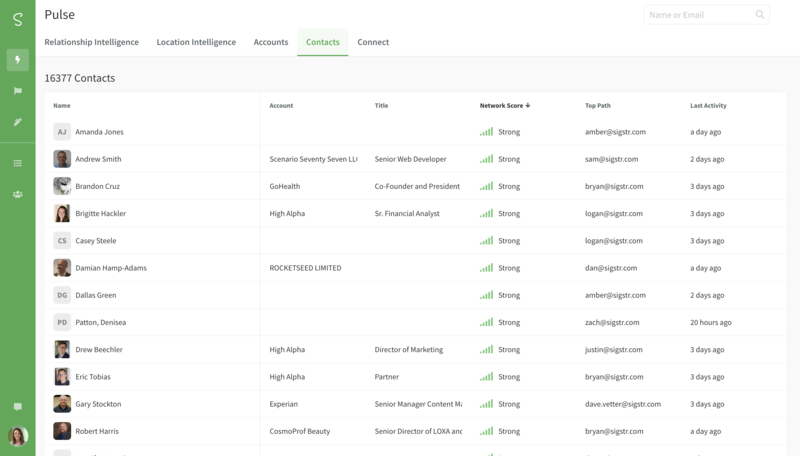 Look through your Top Paths to see who at your company can provide a warm introduction.